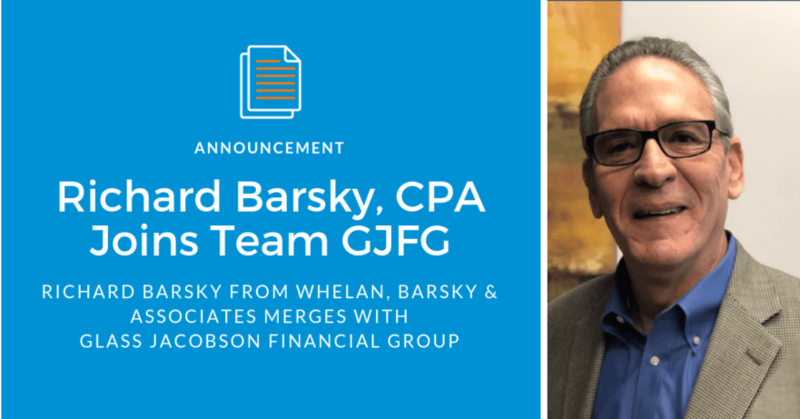 Richard Barsky, CPA has merged his firm Whelan Barsky & Associates with Glass Jacobson, joining the group’s Rockville team as a principal. 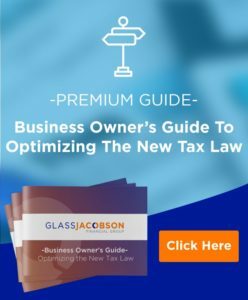 Richard specializes in tax and business consulting matters and holds a Bachelor of Science degree in Business & Public Administration from the University of Maryland. Previously he was a managing director and partner at American Express Tax & Business Services, which later became RSM McGladrey. After that, Richard returned to solo practice and was Glass Jacobson’s subtenant for eight years before merging with the group at the end of 2018. Are you an accountant looking to merge with a fast growing firm? Contact us today, and we would be happy to talk with you!